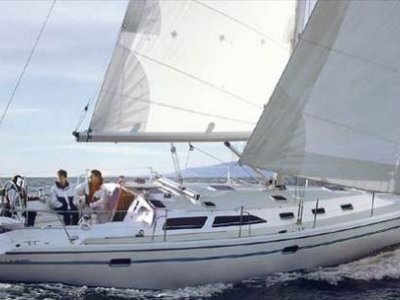 The Jeanneau 42DS has long been considered one of the most well thought out deisnges to come out of Jeanneau's yard. This yacht is not only designed to sail extremely well, but because of her deck salon arrangement she has TONS of room down below. She has been well maintained for her absentee owners by a yacht management company here in the Virgin Islands.